a sticky deposit on teeth in which bacteria proliferate. Plaque. It just sounds like an ugly word and that’s because it is! 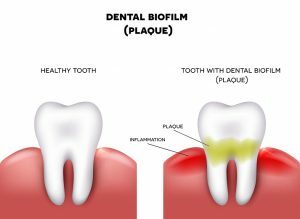 Just take it from Dr. Jacquie Smiles who says that it “is one of the largest causes of damage to the teeth and gums,” AKA plaque is so not something we want growing in our mouths. So how do we make sure it stays far, far away? That’s where Plaque HD comes in. According to Dr. Jacquie “Plaque HD is completely a game changer in the orthodontic practice — definitely with the hygiene,” as it is an excellent way to not only identify, but to remove all traces of plaque on the teeth. Plaque HD works to protect your dental work, fight cavities, prevent gum disease, freshen breath, and so much more! So, what are you waiting for? Let Dr. Jacquie help you achieve the smile you deserve! To schedule your free consultation in the NY and NJ area, just call 1-888-787-8764 (1-888-STR8-SMILE) today!